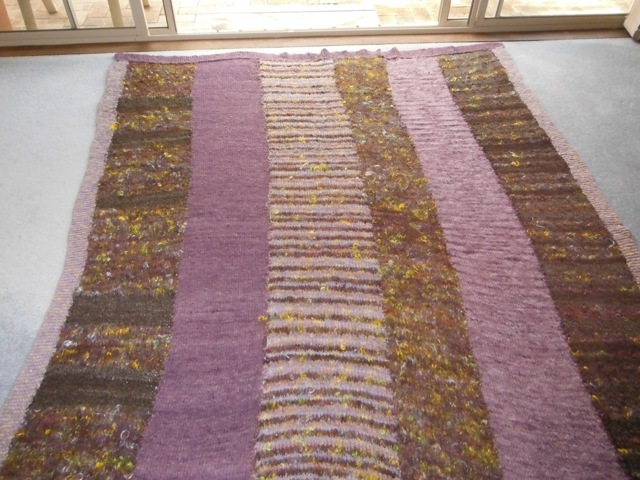 This rug has been knitted in panels of different widths. Lyn purchased the wool after the Tuesday group mixed all of the different fibres together and spun and plied the yarn. 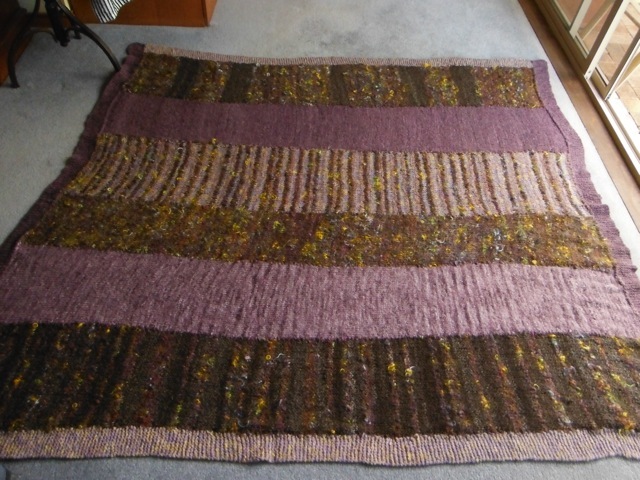 The purple mix was made up of wool, alpaca, mohair and plyed with a purple cotton. A great blend and has made into a beautiful rug. By Lyn A.